(CNS): Grand Cayman’s sole power supplier is inviting proposals from qualified parties to supply up to 13 megawatts (MW) of sustainable energy. CUC has put out an invitation for “expressions of interest and proposals” for the financing, construction, ownership and operation of renewable energy generation facilities. The firm said Friday that it has been monitoring the status of several alternative power sources for over a decade but the cost had “prohibited adoption”. Given the current cost of oil prices, however, alongside advancements in renewable energy in technologies, the firm said it believes that there are vendors in the market now that can provide greener power that may provide savings to the customer. “Renewable energy could provide several benefits to Cayman, including lower emissions, price stability, and perhaps lower cost. 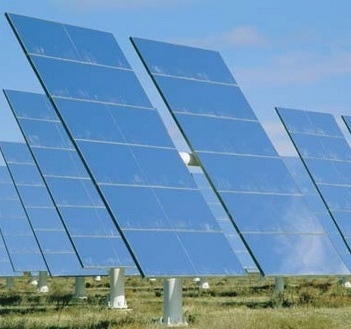 CUC is hoping to identify viable Renewable Energy projects by the end of 2011,” the power firm said in a release. The request for preliminary proposals was circulated last week and CUC is seeking expressions of interest from entities with a track record in financing, designing, constructing and operating comparable size renewable energy generation projects. CUC said it will evaluate proposals on both technical and financial merits, with 70 percent based on the ultimate price of generating the alternative energy. “It is envisioned that the Investor would become an Independent Power Producer (IPP) that will enter into a Power Purchase Agreement (PPA) with CUC for the supply of electricity from the alternative energy generators,” the invitation states and explains that the successful partner will need to secure a generating licence from the ERA. CUC said that feasibility studies for any energy source being proposed are the responsibility of the IPP but CUC has 12 months of wind study data from two locations that will be made available to qualified investors. The need to find an alternative to the current situation of Cayman’s total dependence on diesel has been a long time coming. CUC had asked for invitations to tender back in 2008 with the goal of establishing a wind farm. Despite going some way down the road with that project, efforts were thwarted when the most suitable location for the turbines was identified in East End but was also selected as the site for government’s Doppler radar, bringing the two projects into conflict. Wind turbines cast long shadows of pulsing light, and a low frequency sonic pulse. This is proven to be a detrement to peoples health. Studies are showing tide and wind generation to negatively affect fish and bird migration as well… Concentrated light steam production might be a good consideration. thats great news that there is a movement towards sustainable energy. looks like the proposal of an oil refinery is unneccessary now. How's this, put a dollar per gallon tax on all deisel and gasoline entering the country, mandate that the funds are used to pay off the national debt, and then as a bonus it will become very attractive for some entity to take on CUC request for a re-newable energy provider. We will pay of our national debt in 6 years and we will get a re-newable energy economy that will insulate us from the coming oil shocks in the future. Mr Haranguer, so you are going to tax gasoline and deisel coming into the country. And with CUC being the bigest importer we hit them the hardest. Of course this increase fees will be offset by CUC by increasing fees to us the consumer. Gee brilliant idea. Some of the commenters to this article have been critical of CUC's study of Ocean Thermal Energy Conversion (OTEC). The concept of OTEC was originally proposed in France in the 1850's, it is feasible and definitely doable. While oil is abundant and relatively cheap (about US$70 per barrel) then OTEC will not be commercialized. Oil and all fossil fuel reserves are measurable, they will run out one day, production gets more expensive as the easy areas for extraction are less and less, the price is definately over US$70 per barrel! In the Cayman Islands we have the ideal conditions for commercial OTEC and OTEC will be established in Grand Cayman one day, it is inevitable and so predictable. The US Navy is funding commercial OTEC development by Lockheed-Martin in Hawaii. By 2013 they will have the first 5 to 10 Mw OTEC electricity installed offshore from Hawaii. generating plants for the US Navy. Global warming and climate change are causing problems on planet earth. So how do we extract energy from earth systems in a more sustainable way? In this program we see deep ocean water (DOW)employed as a condenser in an amonia turbine energy cycle. Sustainable and renewable Energy from the sea via OTEC is a viable option for energy load systems. Additional applications of DOW in air conditioning, agriculture, and aquaculture has been successfully demonstrated. Implementation of the first Sea Water Air Conditionning system (SWAC) at the InterContinental Bora Bora Resort & Thalasso Spa. A system that eliminates the use of potentially hazardous compounds that deplete the ozone layer (H.C.F.C.s) and designed to save up to 90 % of the hotel's electricity consumption for air conditioning or 2.5 million liters of fuel oil each year. All in all a saving of half a million dollars for a 80 units resort. extracted from the depths of the sea was mentioned to Richard Bailey, the majority shareholder in the InterContinental Resort and Thalasso Spa Bora Bora, by a certain Marlon Brando. He owned the neighboring atoll of Tetiaroa, which he fell in love with in 1965 when filming "Mutiny on the Bounty". A fervent defender of the environment, the legendary actor had been following with great interest the first practical applications of this new technique in buildings in Hawaii. The good Lord gave us oil for a reason, these green people are devil worshippers. Watch Home the movie, it will change your mind when you find out why the hydrocarbons (OIL) was trapped deep in the ground. I will come back to see your comments after you watch the movie! I just returned from a trip to Europe where in so many countries they have turned towards alternative ways to create energy. It was very impressive. If you all were bothered by the recent power outages, you better prepare yourself for things to only get worse. How do you think CUC will keep up with the ever increasing demands, considering the potential of the Shetty village and tech zone park going up? You all may remember that a local company had been instructed and started work on having some wind turbines installed up at High Rock/East End area to test for possibililties. As usual, government did away with this and instead wanted to install the radar or whatever it was for hurricane detection etc. (no idea whatever came of that project). It really breaks my heart that in Cayman every single thing is about politricks and $$$ instead of what is good for the country and its people for generations to come. But then, I guess Cayman truly is a 3rd world country and does everything it can to not move fowards to the year 2011! Until Smarter, more ethical minds are running the country nothing of merit will ever be done to success here. Bunch of toddlers trying to run a country with the expected result everytime. Cayman is not ready for the future. It is still trying to catch up to the present. I thought CUC already had green energy….the dollar!! I have my renewable energy system for 4 years strong without a problem and in a year time will be creating free electrcity dont wait for CUC do it now before fuel sky rockets higher than what is in a couple years. What does your financial outlay look like? Is this something the average Joe can do? Yes the average joe can do there is no planning law against solar panels within reason it was rumoured years ago that Sparky was telling people its illegal, to discourage home owners from doing a renewable energy system because it would cut in on their crazy profit, although it is illegal to grid tie and feed power back into the lines on less you sign an agreement with them to do that which is not feasible for a $300+ fixed fee so you can never have a zero electricity bill, but this is just another discouragement because grid-tie is the most efficient system but an off-grid works almost as efficient with the advances in battery and inverter technology, an off-grid system involves batteries and as we all know batteries die one day but if properly maintain lead acid batteries can last 10-12 years if kept above 50% charge by the time those batteries go dead you would have paid for your system years ago. You just have to do your research on how the systems are wired and mounted safely there is a ton of books and info on the net on this topic but always get advice or help from a local electrician to be in line with code. I would suggest insulating your home before making that investment because A/C is the largest consumer of your bill which would be highly expensive to run entirely by solar, but you don't need to have a ton of money the average home in cayman system will run between 4-6k u.s and if the components are purchase over a year or two will be less damage on your pocket. But as home owners we need to start taking the intiative against Sparky crazy rates. Germany doesn't have one third the amount of Solar energy as Cayman but yet they are world leaders in home solar electricity generation reason being is because utility companies are forced to buy electricity at a premium from home owners with renewable energy systems. Sparky doesn't care about saving you money at the end of the day Sparky is filling up his pocket because he knows you cant live comfortably without it. I feel hesitant to express my opinion on this good news. I know that as a company whose goal is maximizing profits that it is in your best interest to pursue cheaper, cleaner energy. My main concern and hope is that you are putting this bidding process out to the international community. In less than 10 minutes I was able to go online and find 20 of the top companies who are presently installing solar thermal electrical plants across the U.S. and around the world. As you probably know, many offer financing which allows payment for the system out of profits the system produces. At our high cost per KWH the payback time would be especially shortened. My other concern is that this process does not get tangle up with local politics and MOU's by Government. You (CUC) as a private company should be unrestricted in dealing directly with the vendor of your choice in order to keep costs down. Please do not allow government to interfere with this very important process. The end result could have a great and lasting effect on helping our economy. Many of us would welcome updates on your progress through the media or news outlets. That a total of $342.34 in Fuel and its equal to 2.33 more than the actual Energy ($146.91) that was used. It's like having to put 2.33 Gallons of gas in a car to drive one mile it dose not make any sense at all. Neither the CUC nor the Government has any incentive to promote alternative energy or be more Energy efficient. The CUC passes the fuel cost straight on to the customers, so it makes no difference to them if they use more fuel to produce a KWh. The government takes a kickback on every gallon burned, the more the better. As pointed out earlier in the viewpoint of Paul Revered (07/08/2011), the CUC could produce electricity much more efficient, but that would require spending a bit more money and taking a bit less profit. We should have straight Net metering, with perhaps a monthly connection charge. Solar should be feasible in Cayman as our CUC price is higher than the special feed-in tariffs offered in Germany! If more Electricity would be produced by solar less Fuel would be required thus reducing the fuel surcharge for all. Now which of our parties has a "Green Agenda"
You said "The CUC passes the fuel cost straight on to the customers, so it makes no difference to them if they use more fuel to produce a KWh". This is inaccurate. Under its Licence CUC is subject to rewards and penalties based on performance factors which include fuel efficiency. While solar is available it is not of course a substitute for reliable sources of power such as fossil fuels. Why don't you simply set up your solar energy system at home and reduce your own demand for CUC generated electricity therefore your fuel surcharge? Don’t believe anyone said 100% substitute just cost cutting. More smoke and mirrors. If CUC was serious they would enter into fair excess power purchasing agreements with private property owners that already have installed alternative energy equipment. I have a model to convert wave energy into electricity. The world spins, winds generate waves and the weight of water is approx. 1025kg/m^3. Imagine the power generation potential – by harnassing the bouyancy of floats in the ocean. What I don't have is a person with the funds and technical writing skills to seek the appropriate applications. Neil, there is more KWH of electricity stored in ocean waves than all other energy sources combined. There are also a ton of companies already in existence that sell wave generating systems. The problem is we do not have big waves on a consistent basis to warrant the cost of the project. Reading the CUC SITE, Cayman electricity appears to be cheap at the published COMMERCIAL COST of CI$0.1039 per kWh but there is NO reference on the CUC site in regard to “Fuel cost paid by CUC” as indicated on notes. Seems to be very misleading. CUC is full of …… samething over and over again, they are the only entity making a profit in these times. Do you think they really care? Think back to Ivan Days…….we pay the highest electricity in the caribbean maybe the world. How do they explain that????? We do not pay the highest cost for electricity in the Caribbean at all, let alone the world. We actually fall in the middle of the pack. CUC is not the only entity making a profit. Actually, CUC is one the few whose ability to make a profit is restricted by its licence. There are many entities whose returns far exceed CUC's. Do you really think that the property insurance companies are making losses when they are raking in huge premiums and not paying any claims? Since Hurricane Ivan property insurance rates are between 300% and 400% what they were pre-Ivan yet, with the exception of Hurricane Paloma there been no claims for catastrophes. These rates are like paying another mortgage for most people yet people for some reason get far more excited about their CUC bills. Plain and simple, wake up Ministers, CUC need fair competition! In 2007 CUC were promoting OTEC (Ocean Thermal Energy Conversion) as the way forward while dismissing calls for the adoption of solar and wind-powered optionson the basis that the sun didn't shine and the wind didn't blow 24/7 365 days a year. At that time there was no evidence that OTEC worked and there still isn't but the alternatives were very much up and running. In simple terms CUC promoted an option they knew wasn't viable while rubbishing options that were. It's a pity the Net News archives are no longer available because this was well-documented at the time. CUC also circulated horror stories about the dangers of net metering (where solar generated power is sold back into the grid) claiming inaccurately that the equipment to do this safely was not available and they argued that diesel was the only legally permitted option for power generation. CUC has no record of commitment to renewable or alternative energy, in fact records show quite the opposite. Some of CUC's newer generators are multi-fuel and they can be run on LPG, which is much cleaner and should be cheaper than diesel, but as far as I know that has never happened (if it has I apologise to CUC). What Cayman needs is a completely separate utility company to deal with alternative power sources because as long as this is entrusted to a CUC sub-contractor it will never get off the ground. Attention Contractors: Parabolic Thermal Solar facilities are being constructed now in California and Nevada. These plants store heat for night use and cloudy days. The manufacturer will finance the installation. It pays for itself in less than 5 years. Check Wikipedia for "Parbolic Trough Thermal Solar". Anyone with the ability to do this would be smart enough to realize that getting into a business in the Cayman islands comes with considerable risk to their investment from the CIG and its greedy, incompetent, and XXXX ways of handling everything. Good luck getting any outside company to see this as an easy business deal for them. More nonesense from CUC. They send out these general RFP's regularly but then structure their deals so that no one in the private sector will see that it makes financial sense. In this way they look like they rare trying to get alternative power going all the while keeping us a slave to oil and their ridiculous pricing structure which seems to keep rising rergardless of the price of oil and sometimes rising when oil prices fall! The price of diesel on your CUC bill is two months behind which means that its fuel charges will not reflect the current price of oil which will instead be reflected in its bills two months from now. You just described every gas station on the island when you said " which seems to keep rising rergardless of the price of oil and sometimes rising when oil prices fall". Have you seen any significant changes at the pump even though it's been about 12 weeks since oil prices fell? I've only seen a 20 cent per gallon drop in that period. If you're buying gas somewhere else for cheaper please fill me in. Unless you live in Venezuela you're paying exorbitant prices for gas across the board. Get with it! My proposal consists of installing a wind turbine in the LA. Then we can all be very proud of our politician's contribution to Cayman.